Our NEW Faux wood venetian blinds collection is fast becoming a very popular choice of blind that not only looks great but they are also great value for money too. 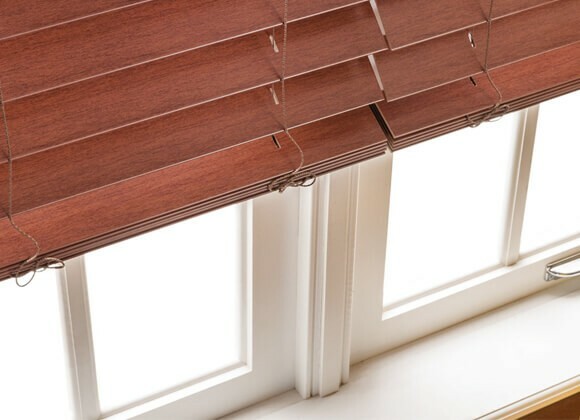 Faux-wood venetian blinds look the same as wooden venetian blinds and are used in exactly the same way using a cord to lower and raise them and another cord on the opposite side to tilt the slats to your desired level of privacy. 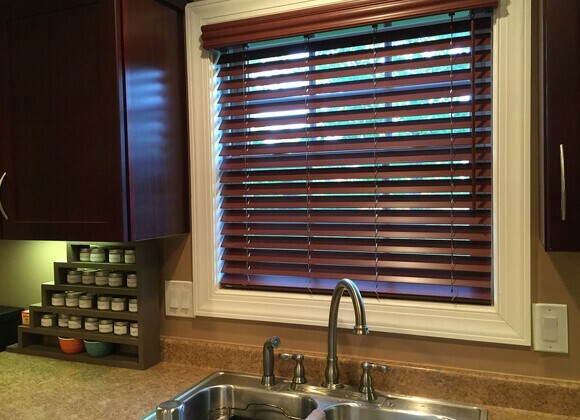 The polyvinyl pvc material that is used to make up these blinds is more durable than wood, they are easier to keep clean and they are available in a wide range of all the latest colours. 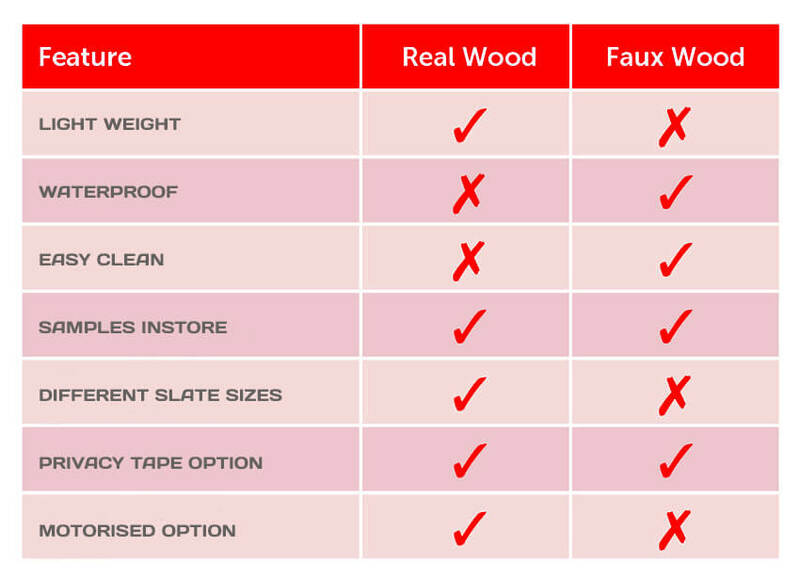 Our Faux-wood venetian blinds are available in over 30 different colours including the most popular whites and creams and all the latest tones of grey to match with your new flooring and other furniture giving you a lot more options to choose from. There’s also a grained finish to choose from which creates a more natural looking wood finish. 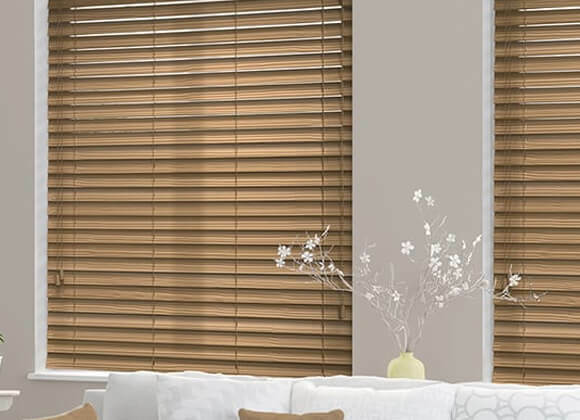 Like Wooden Venetians, Faux wood venetian blinds are also available in different slat widths including 35mm and 50mm. 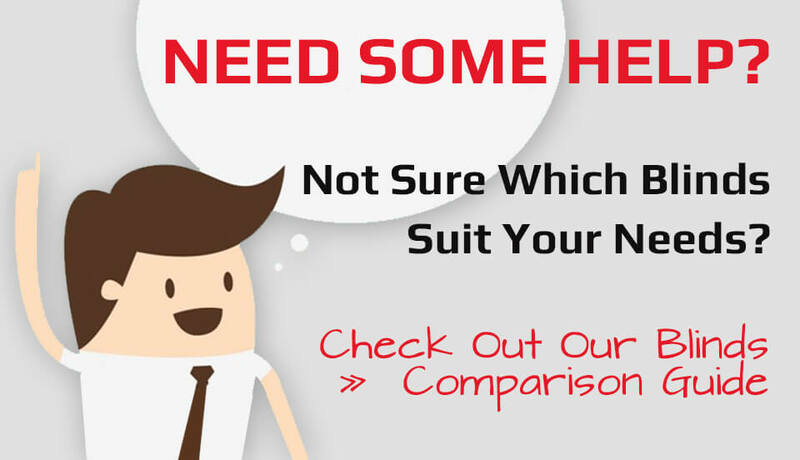 They can also be customised to your own individual requirements with matching or contrasting coloured tapes, pelmets and chrome, satin or brass pulls to compliment your decor. 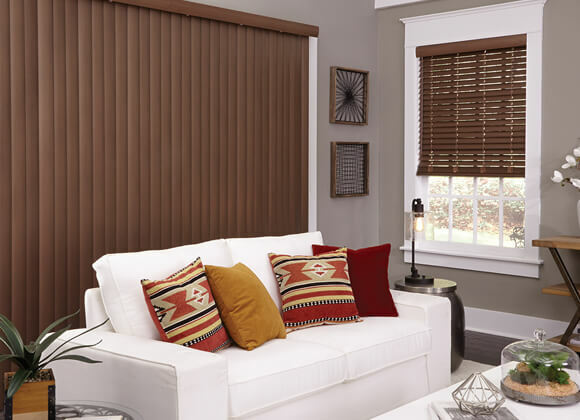 Due to the impervious nature to moisture faux-wood blinds are very popular for bathrooms, kitchens and any room were damp or moisture would otherwise cause a problem. Obviously they also look great on any window and are also becoming a very popular choice for bay windows as they give a similar look too shutter blinds but cost a lot less to buy. 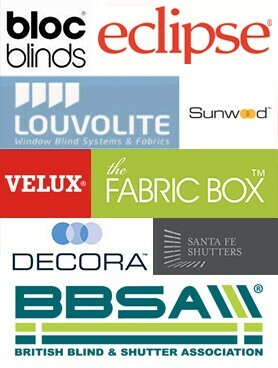 If you would like to find out more information please give us a call or pop in to the showroom were you can see all the latest blinds and shutters on display. Come and see our amazing range of Fauxwood blinds on display in our showroom! 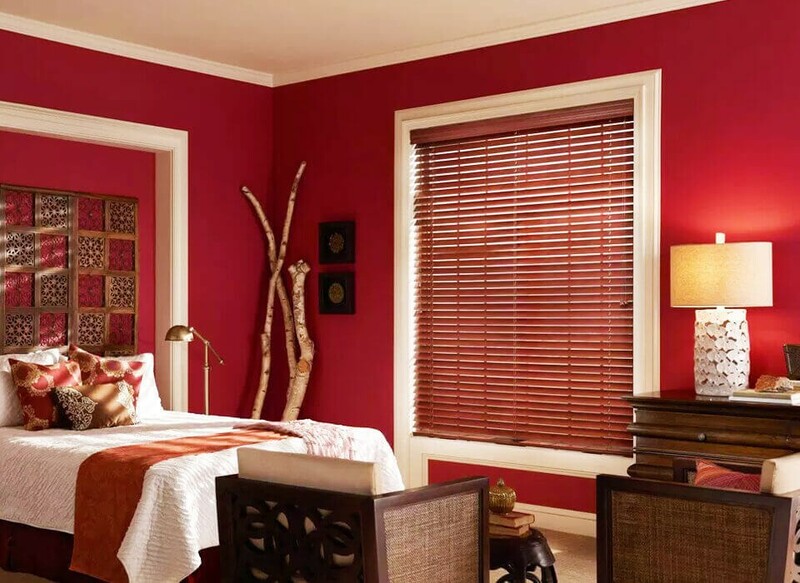 Why Choose Our Fauxwood Blinds?